(NaturalNews) What does the development of genetically modified bananas have to do with the world's richest man, founder of Microsoft Corp. Bill Gates? Everything. As noted by CNet News, James Dale, the director for the Center for Tropical Crops and Biocommodities at Queensland University of Technology in Australia, says he's devoted a number of years to the creation of a better banana (what is currently wrong with the kind that grow naturally? We haven't a clue, but there it is). Dale says he's been working on creating a pro-vitamin A-enriched banana since 2005. "Good science can make a massive difference here by enriching staple crops such as Ugandan bananas with pro-vitamin A and providing poor and subsistence-farming populations with nutritionally rewarding food," he said in a statement. There is a big visual clue these bananas are different. They look the same on the outside, but the flesh is more orange than pale as a result of high vitamin A. Unlike the bananas we are used to in the U.S., these plantains are always cooked before being eaten. 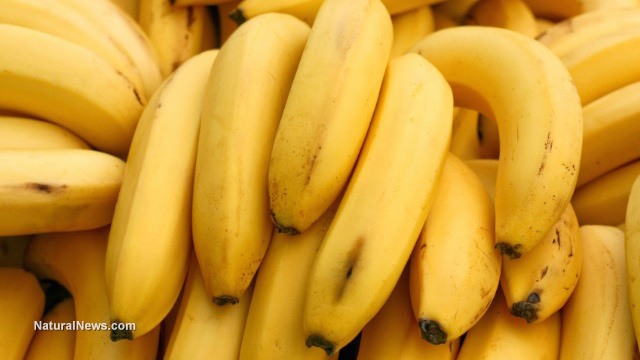 The banana is a common staple food, but it's lacking in micronutrients like vitamin A. Vitamin A deficiencies have been linked to weakened immune systems and blindness. "We know our science will work. We made all the constructs, the genes that went into bananas, and put them into bananas here at QUT. Hundreds of different permutations went into field trials up north and we tested everything to make sure our science worked here in Queensland," Dale said. The report noted that prior to human consumption the bananas were safely eaten by Mongolian gerbils (not sure what the connection is to humans but we're going with it). The strain of bananas destined for human consumption were grown in Queensland and have since been shipped to the United States. A six-week trial is scheduled and the results will be reported by the end of the year. Before our visit, I didn't know much about bananas. Dale, an agricultural scientist, is one of the world's leading experts. He has been profiled in The New Yorker, in a fascinating article about the history of bananas as an export crop. As the article explains, a blight has spread among plantations in Asia and Australia in recent years, badly damaging production of the one type of banana that is grown for export, the Cavendish. This disease, a fungus, hasn't spread to Latin America yet, but if it does, bananas could get a lot scarcer and more expensive in North America and elsewhere. Dale is working to develop new versions of the Cavendish that resist the fungus. He does this by inserting genetic material from other organisms into banana plants. This work is separate from the research that our foundation supports, although some of the same techniques and scientific principles are involved, including transgenic experiments. Making banana plants less susceptible to diseases is a secondary goal for us. Our primary goal is to help Dale develop new types of banana that are more nutritious - specifically, much richer in Vitamin A and Iron that the body can absorb.